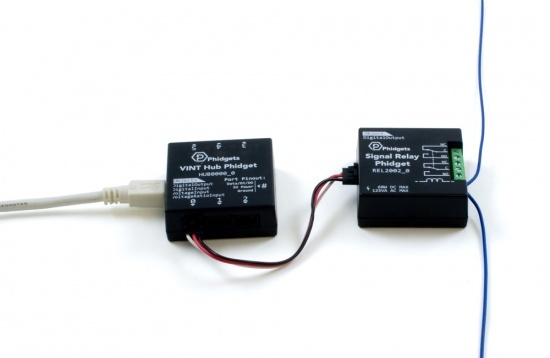 In a simple application where you need to switch a signal line on and off, the Signal Relay Phidget is a quick and easy solution. With a double-pole double-throw style relay, it can switch up to two signals of 60 watts of DC power or 125 VA of AC power each. 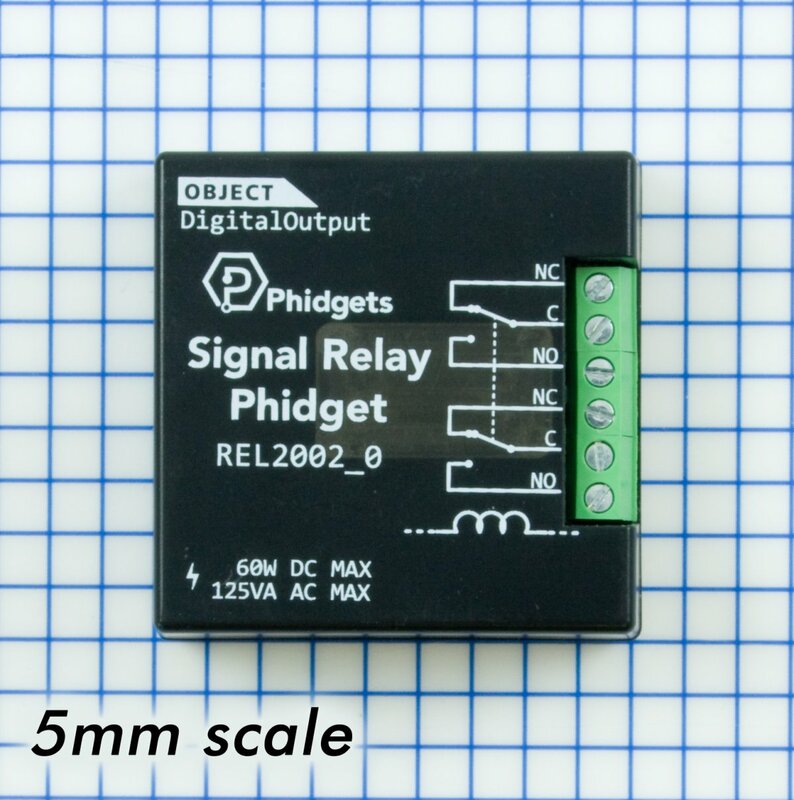 By nature, this relay Phidget is isolated from load to control, so a power surge in the load side will not damage your VINT Hub or computer. For DC applications, you can switch a circuit of up to 120V or 2A, as long as the switching power is 60W or less (For example, 30V/2A or 120V/0.5A). Similarly, you can switch up to 2A or 240V AC, to a maximum of 125 VA of power (For example, 62V/2A or 240V/0.5A). 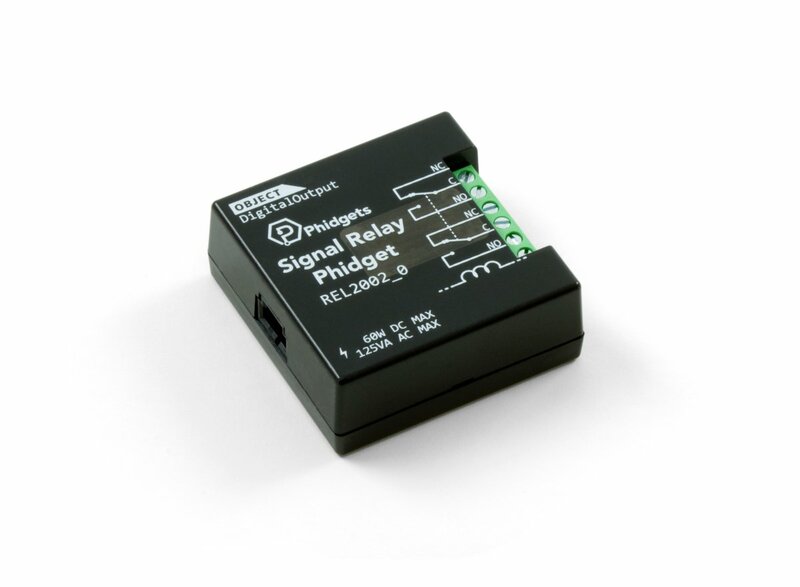 This relay is specifically intended to switch signals. If you need a relay that can switch power to a device, take a look at the more powerful relay boards on the Other Relays tab. 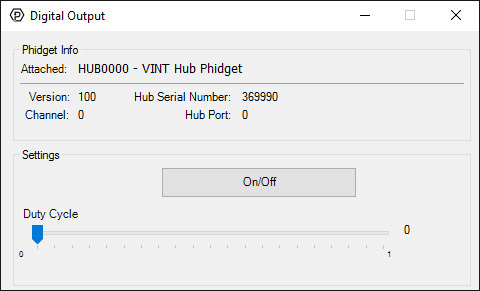 Connect the REL2002 to the VINT Hub using the Phidget cable. Now that you have everything together, let's start using the REL2002! In order to demonstrate the functionality of the REL2002, the Phidget Control Panel running on a Windows machine will be used. Linux users can follow the getting started with Linux guide and continue reading here for more information about the REL2002. Note: the REL2002 is not designed to be used with Duty Cycle. The REL2002 uses a double-pole double-throw switch, meaning it is capable of switching two circuits at once between two terminals each, as illustrated by the image on the right. 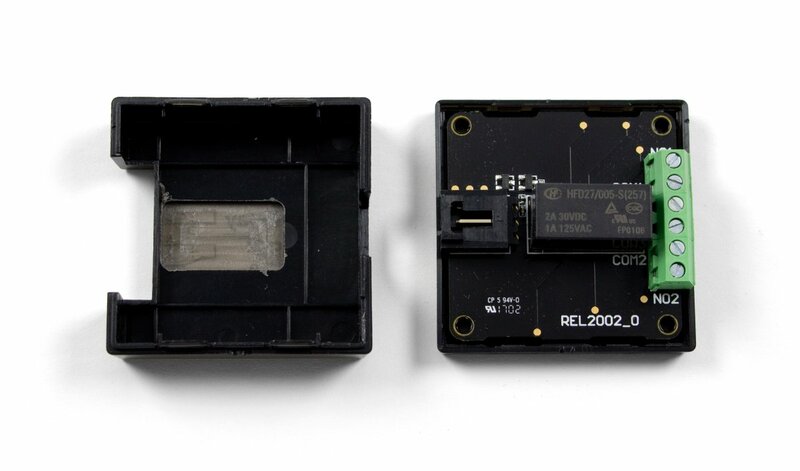 A relay is an electrically-controlled switch. 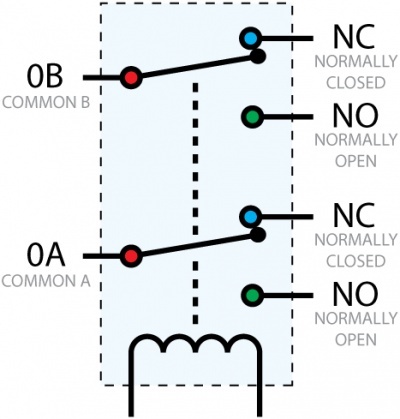 For more information about how mechanical relays work and how to use them, check the Mechanical Relay Primer. This device doesn't have an API of its own. It is controlled by opening a DigitalOutput channel on the Phidget that it's connected to. 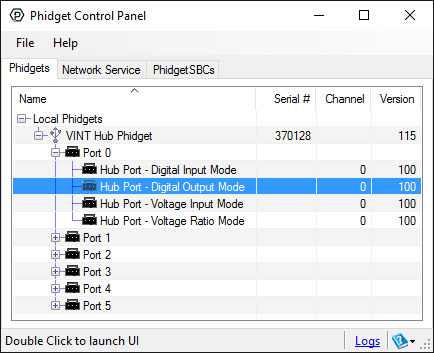 For a list of compatible Phidgets with Digital Output, see the Connection & Compatibility tab. You can find details for the DigitalOutput API on the API tab for the Phidget that this sensor connects to.